It is not surprising to know that millions of people around the world are using iPad for both official and personal purposes. Certainly, iPad is a sleek, user-friendly device that almost everybody in the world would love to have it. But just buying an iPad will not suffice if you wish to enjoy the device for a long time. This is because the gadget is susceptible to several damages such as scratching and dropping. While it takes much efforts and money to buy an ideal iPad, it takes only a second for it to get damage when it slips down from the hand. Therefore, it becomes equally important to protect the device from these risks. In order to do so, you need to take the advantage of the valuable accessories for iPad, which not only safeguard the gadget but make it convenient to use. Just hit the Internet and you will find a variety of iPad accessories exclusively designed for different purposes. 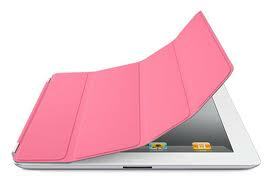 So, here are some accessories that you can consider to protect your iPad. One of the most vital and protective accessories to consider for your iPad is a case. A case acts as a comprehensive safeguard to keep damages from dropping at bay. There are many types of cases available in the market but some of the most recommended ones are Case Mate iPad cases because they are quite durable, sleek, and affordable. You can even consider a case with the station, which is equally popular and on offer by Case Mate. If you use such a case, you get the flexibility of using your device in several ways. For example, you can use the device handheld or on the station in a right angle position. If you use such a station case or a strap case, it will aid in keeping the risk of dropping at bay while you are using it. A strap is useful when there is no table top to place the device. In short, investing in stand case for iPad can make your device stand safely in an upright position. Well, for fun, this makes it easy for you to watch movies. Apart from a stand style case, you can even consider wallet style cases that come with soft inner panels. Go for this style if you are often traveling because of its high comfort level. Another kind of case for you to consider is a smooth skin-like silicone rubber case. It ensures a non-slippery grip so that the gadget does not slip from your hand and break. A cover easily glides around the device but leaves the keypads, touch screen, and ports open so that you can operate smoothly without any hassle. You can find several appealing covers with glassy finish that blends with the protective power, usage convenience, and flexibility. However, you will have to ensure one thing that the cover is light in weight and washable so that you can easily maintain it. If you have not brought a case but have purchased a back cover, this defensive accessory becomes essential to have. This is because a screen protector safeguards your device from damages that take place due to scratches and fingerprints. What’s more to it is that it is very easy to fix the protector sheet on the gadget. Its slim finish tends to trigger a soft ergonomic feel. Anybody who is planning to use the iPad everyday must use a screen protector. No matter which protective accessory you buy for your iPad, you are bound to obtain the powerful protection as well as the aesthetic appeal of both the gadget and accessory. Guest Post by Adam Wood who is a tech enthusiast and loves to blog about iPhone and iOS on various blogs like this. He works for Case Mate UK , check out iPad Mini cases from Case Mate.